The attorneys at Bain Mazza & Debski LLP exclusively handle Plaintiff-side employment and personal injury cases. Our experienced attorneys handle a variety of legal matters in both of these fields. We represent clients in sexual harassment, disability discrimination, retaliation, and wrongful termination cases, among other employment related issues. We also represent victims involved in car or bicycle accidents, slip and fall accidents, and a number of other personal injury lawsuits. 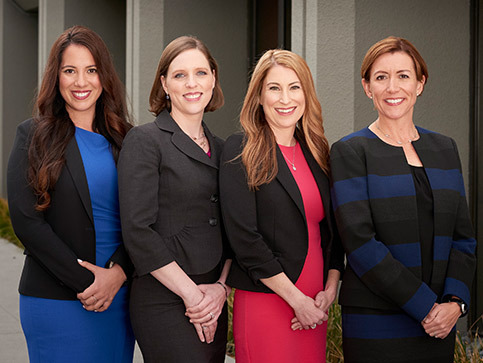 If you are looking for a sexual harassment lawyer, our attorneys are highly experienced in this area and will make you feel comfortable throughout the legal process. Our employment discrimination attorneys provide you with a strong advocate who will fight to protect your rights. We practice throughout the San Francisco Bay Area, with our offices centrally located in San Mateo CA. For more information about each of our practice areas, click on the applicable icons below.